All the crazies in one place. Code Pink protester shown on video being shoved to the ground by a police officer’s baton and later hauled away remains in jail on a charge of interfering with an arrest but should be released tonight, Code Pink officials say. Alicia Forrest was arrested outside Civic Center after confronting officers and asking them questions about another arrest they were making, said Sally Newman, legal liaison and spokeswoman for the group. The video shows an officer quickly shoving Forrest with the length of his baton, forcing her to the ground with a smack. Later, as she was speaking with reporters, the video shows police coming behind her and dragging her away. Lt. Ron Saunier, a police spokesman, said the 30-second video is “kind of jumpy” on his computer and doesn’t give the full context of the situation. “Just shown in that context, you don’t get what the whole dynamics or the full situation is,” he said. Richard Rosenthal, Denver’s independent monitor, who saw the video online at the request of the Rocky, said the incident warrants additional review. “Obviously, looking at that, I’d want to look at the use of force report. I’d want the department to look and evaluate,” he said. Rosenthal declined to share his initial thoughts on the officer’s actions. Code Pink posted a $500 bail for Forrest, and the group expects her to be released in four to six hours, Newman said. “It’s really frustrating that we have this incident of violence now,” she said. Forrest is consulting with an attorney from the People’s Law Project, which has been representing protesters arrested during this week’s Democratic National Convention. Saunier said he recommends that the protester contact the department’s Internal Affairs Bureau or the Office of the Independent Monitor if she feels that the officer used unnecessary force. During the DNC, officers have had many interactions with protesters and overall, police have reacted professionally, he said. “There’s been hundreds of contacts with officers that have gone very well. We may have an isolated instance here and there and the department is committed to fully looking into those instances, and if it’s deemed inappropriate, we’ll take the appropriate actions,” he said. 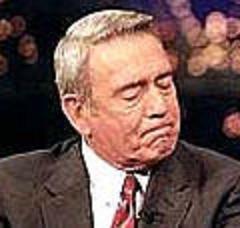 Dan Rather got a standing ovation in the Big Tent’s DIGG stage on Tuesday after castigating the current structure of the media and the resulting weak news coverage. Obama’s association with Ayers, who now teaches at the university, has become an issue in the Illinois senator’s presidential campaign. 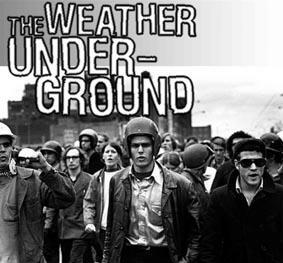 The Weather Underground took credit for several nonfatal bombings on targets that included the Pentagon and the U.S. Capitol, and critics accuse Obama of rubbing elbows with an unabashed 1960s radical. Obama has said that, although he knew Ayers as a professor involved in community outreach efforts in Chicago, he doesn’t share Ayers’ extreme views. The massive collection of newly released documents — 140 boxes full of them — includes agendas that clearly put Obama and Ayers in the same room for meetings of Chicago Annenberg Challenge, an educational initiative that Ayers was instrumental in starting and that Obama chaired in the 1990s. The initiative was funded by $49.2 million from the Annenberg Foundation with the intention of establishing community partnerships that would improve schools. FOX News was among several news organizations that reviewed the university’s records by appointment. In one agenda, a March 15, 1995, meeting featured Obama making introductions and Ayers giving a briefing. But more than a year later, Obama pushed the group to be bolder in its reforms, according to the Associated Press, which also reviewed the documents. Minutes from an October 1996 gathering show Obama, a guest at a meeting of the collaborative, raised questions about what the group should be doing. “At the end of five years, will we have broken the mold? Not much seems to be bubbling up that is inspiring or substantive,” the minutes say, paraphrasing Obama. Even so, Stanley Kurtz, a contributing editor for the conservative magazine National Review, thinks Obama’s association with Ayers should raise questions in the mind of voters who wonder of Obama is as mainstream as he claims to be. “The fact that Obama and Ayers were working together stems from the pretty sharp left-leaning ideology that both of them shared to some extent,” Kurtz said. Ayers did not respond to an e-mail requesting comment. The Obama campaign, meanwhile, is fighting a conservative group called the American Issues Project over a TV commercial that links Obama to Ayers. The campaign argues that the nonprofit group is violating federal laws regulating political ads by nonprofits. The group filed a document with the Federal Election Commission last week identifying Texas billionaire Harold Simmons as the lone financier of the ad, contributing nearly $2.9 million to produce and air it. Simmons is a fundraiser for John McCain and was one of the major contributors to the Swift Boat Veterans for Truth, which aired ads in 2004 against John Kerry. Maybe because they respect the dead Dan unlike you ? Michelle Obama gave a speech. Where is Cindy McCain ?